It starts with our signature cleaning solution, The Natural®. 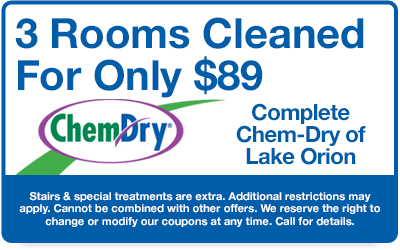 It’s a Green Certified, toxin-free mixture that is safe for kids, pets, and the Lake Orion environment. 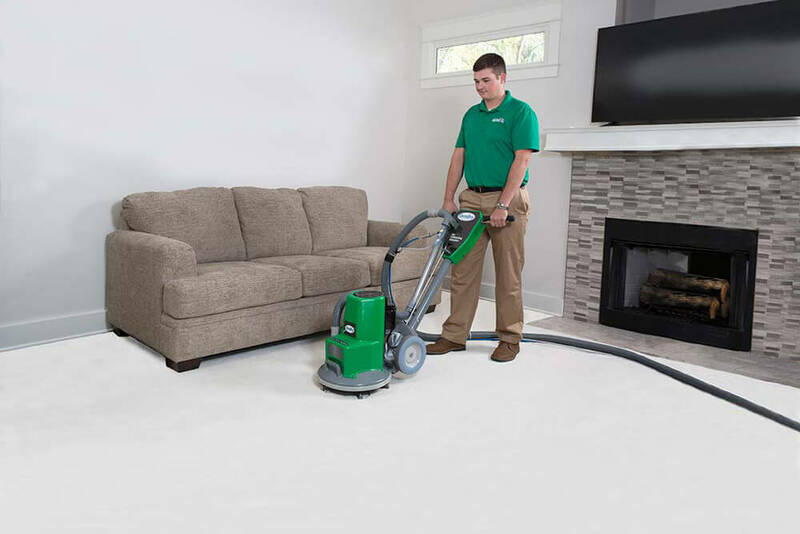 The Natural® digs deep into the fibers of your carpet to break up dirt and grime and lift it all to the surface where it is removed by our suction equipment. We’ve been testing this carpet cleaning method (along with many others) for many years, and this method has stood the test of time. The Carpet and Rug Institute (CRI) designated Chem-Dry as a company deserving of the CRI Seal of Approval for our innovative cleaning system. So not only will your carpets love our service, but with our 5-star customer service, you will love it too! We guarantee to treat your home with the utmost respect. So, what are you waiting for? 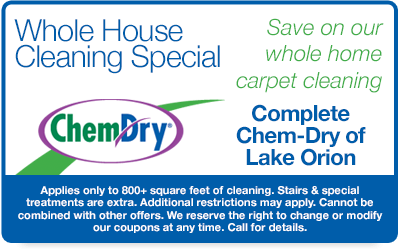 Call Complete Chem-Dry of Lake Orion today for a carpet cleaning experience like never before!